All of God’s promises are conditional. Jesus preached cause and effect. 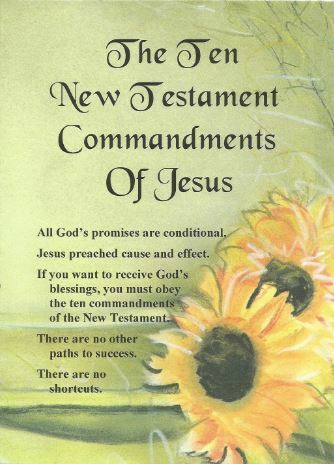 If you want to receive God’s blessings, you must obey the ten commandments of the New Testament. There are no other paths to success. There are no shortcuts.